The Secretary and Governor hosted more than 30 families, educators, stakeholders and elected officials at the Tennessee State Capitol building to discuss the recently announced Education Freedom Scholarships policy proposal, answer questions on the plan and engage on how these scholarships could help enhance school choice efforts in the state. 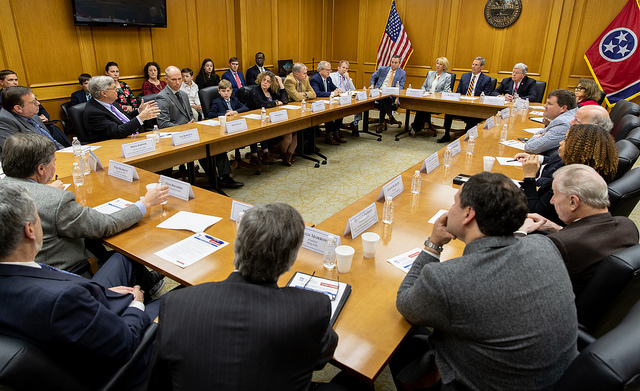 During the meeting, Secretary DeVos praised Tennessee's current work to expand education options for families and encouraged the stakeholders in attendance to continue their involvement in rethinking education in their communities. "I'm pleased to see education leaders in Tennessee willing to act boldly on behalf of their students," said Secretary DeVos. "Governor Lee is passionate about improving education outcomes and is working hard to introduce creative changes to the current system. Expanding access to Education Savings Accounts and to innovative charter schools would truly empower more parents to create the custom education experience best suited for their child. "During our roundtable, we also received a lot of positive feedback on our Education Freedom Scholarships proposal which would truly compliment the in-demand, state-based reforms taking shape here. Scholarships, which could total more than $100 million for Tennessee students, could be used to expand students' access to dual enrollment courses, apprenticeship programs, transportation to an out of district public school, or other education opportunities. I look forward to seeing how this proposal, coupled with the important reforms taking shape in Tennessee will give each child access to an education that is personalized for them, unleashes their creativity, and unlocks their potential." Governor Lee stated, "Working to provide our kids the best possible education is something we all must strive for, and in Tennessee, we are doing everything we can to provide high-quality options for every student. I thank Sec. DeVos for coming to Tennessee today to help champion reforms and put a focus on students at the national level." The roundtable participants shared stories from their communities and gave examples of how this program could benefit them, as well as addressed the shortcomings and challenges the current system has placed on families. 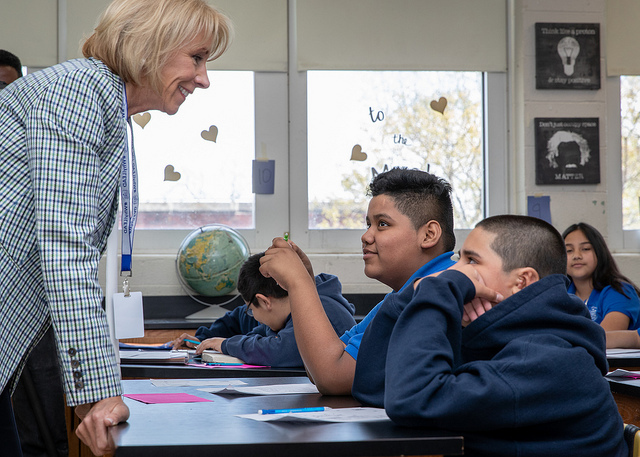 Following the roundtable, Secretary DeVos and Governor Lee visited LEAD Cameron, a public charter middle school in Nashville with a proven turnaround success story. According to school leadership, LEAD Cameron has moved from one of the state's lowest performing "Priority Schools" to currently ranking in the top five percent for academic growth. The Secretary will continue to travel around the country to tout the benefits of Education Freedom Scholarships and to explain how they can complement state-based education choice policies making their way through state legislatures.